This post is in praise of the amazing work done by our hardworking volunteers. Anyone who has visited the museum will have seen the ‘Regen’ area of working telegraph equipment in our WW2 tunnels, maintained by dedicated former Cable and Wireless staff. If you’ve been into the gallery in Eastern House you will have seen the fascinating sea creatures knitted by our Cable Stitchers group who use their needle craft skills to make amazing dress-up clothes and learning resources. The fruits of our volunteers’ efforts is not always so immediately visible. Working steadily behind the scenes, our volunteers are supporting the vast job of caring for our archive and object collections. In my last post I talked about our exterior object collection and the work needed to keep surface rust at bay. Our work can be very dirty and hands on, but it often rests in the other extreme. Work in the archive is often painstakingly slow and precise, handling vulnerable documents and volumes. 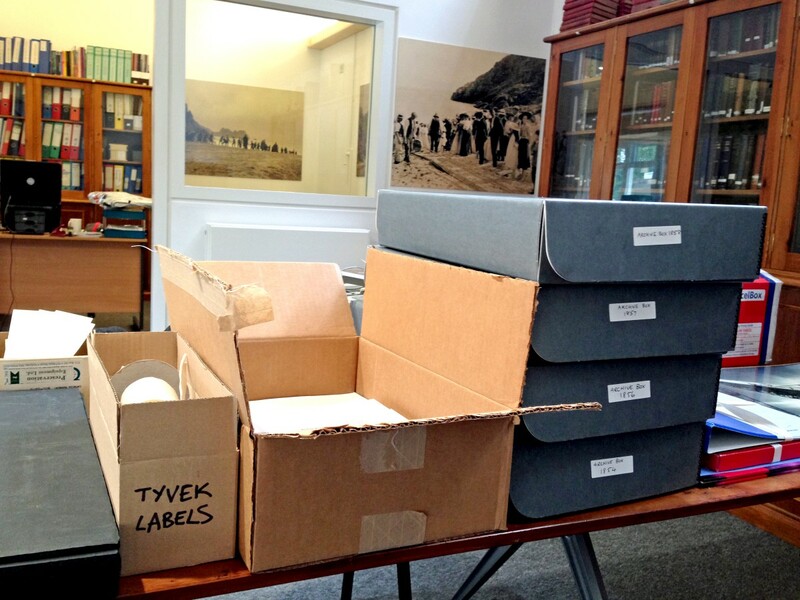 The majority of archive volunteering takes the form of sorting through boxes of documents and volumes. 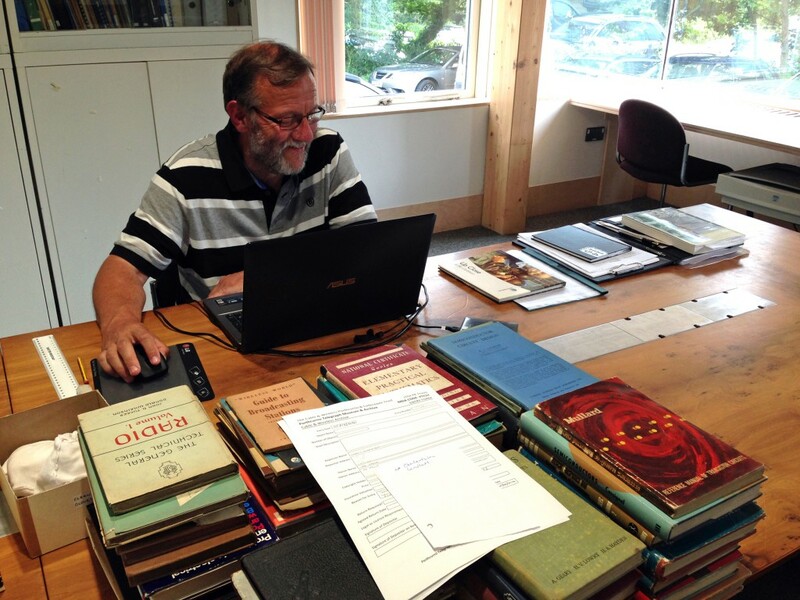 John Wallis has been assisting with incoming collections that are in the process of being accessioned. Colin May, Linda Packer and Tye Clarke have all been working on collections that have been with us for a little longer, but still need sorting. The most important aspect of this kind of work is producing precise information about the description of each document. This information is collected and goes onto our database Filemaker which is then used by researchers to search and access documents. 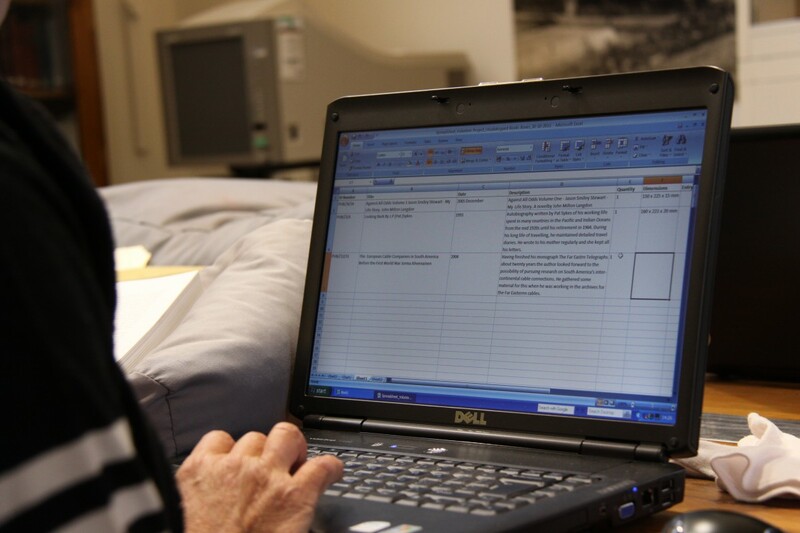 This process takes patience and a lot of concentration and we rely heavily on the efforts of volunteers to help us make the archive accessible to members of the public by providing as much accurate and up to date information as possible. Finally Charlotte Dando (Collections Manager) and I would like to say a huge thank you to everyone who packed, lifted, moved, transported, and relocated the museum’s collections over the last couple of years. All of the volunteers have worked tirelessly behind the scenes, despite all of the recent changes, and the redevelopment project would not have been possible without the contribution and dedication of all those who have freely given their time.